1931 Formation of the National Association of Nurse Anesthetists (NANA). Through the efforts of CRNA Agatha Hodgins, our National association became a reality on June 17, 1931, in the midst of the great depression. 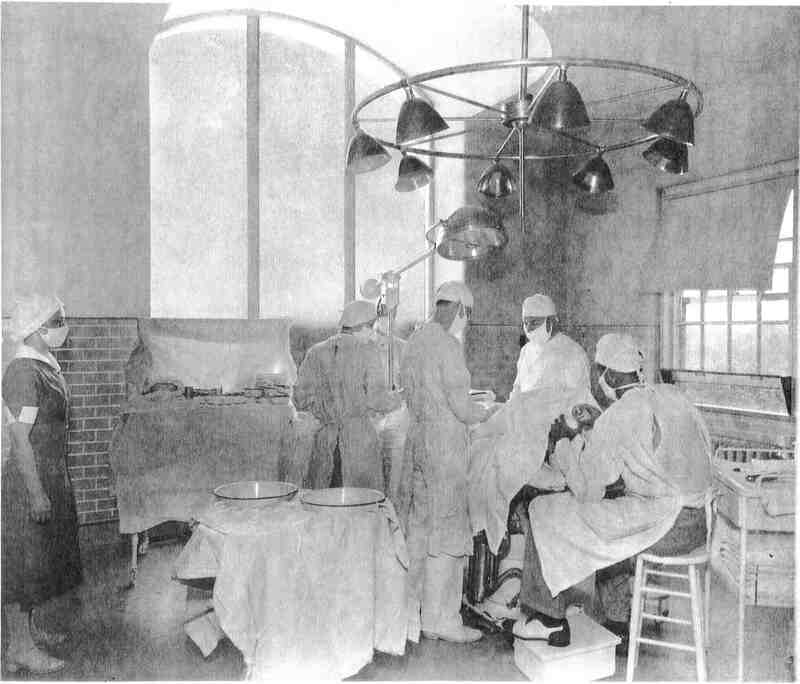 A group of forty-eight anesthetists, representing twelve states, met in a classroom in the anesthesia department of the University Hospital of Cleveland Lakeside in Cleveland, Ohio, to form the NANA. Nurse Anesthesia was the first specialty nursing organization in the United States. 1935 NANA changes name to the American Association of Nurse Anesthetists (AANA). 1940 On October 16th, seven nurse anesthetists met at the Wesley Hospital Nurse Home in Wichita to found the Kansas Association of Nurse Anesthetists (KANA). Our first President was Viola Baker from Wichita. Viola served as President until 1945. Velma Thompson of Marysville was elected first vice-president. Ethel Paul of Wichita serves as second vice-president and Mildred Clark of Fort Leavensworth became secretary/treasurer. Also attending was Zella Hammann from McPherson. 1945 First National Certification Examination given in June. The adoption of the credential of "Certified Registered Nurse Anesthetist" was granted to those persons who passed the exam. Nurse anesthetists became the first nursing specialty for which certification was available. 1956 The first publication of the official KANA newsletter, Kanesthesia, was printed. 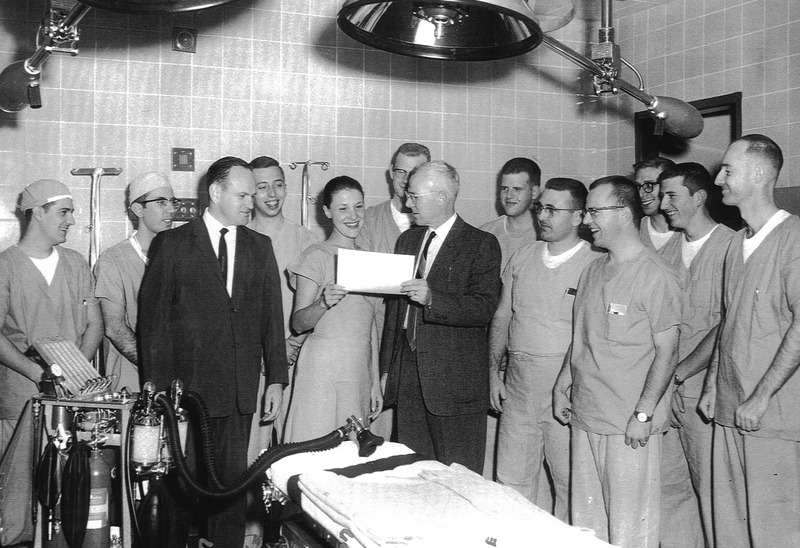 1959 The first schools of nurse anesthesia in Kansas were both founded. Both St. Joseph and Wesley Hospital were in Wichita. Sister Mary Bernard founded the St. Joseph School. 1964 Providence Hospital in Kansas City started a school for nurse anesthesia and was directed by A.O. Tetzlaff, M.D. 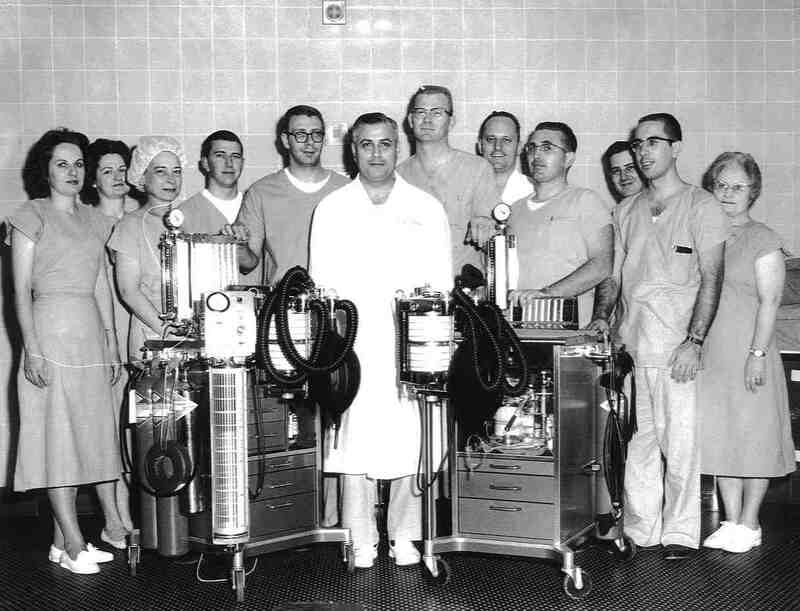 1965 St. Francis School of nurse anesthesia founded and directed by Jack Cleverdon, CRNA, Wichita Physician’s School began, and directed by LaReah Danielson, CRNA, St Joseph school of nurse anesthesia was closed. 1966 Providence Hospital School of nurse anesthesia in Kansas City was closed. St. Francis School of nurse anesthesia was also closed. Wichita Clinic School of nurse anesthesia was started and directed by Dale U. Loyd, M.D. 1967 The University of Kansas Medical Center in Kansas City started a nurse anesthesia program and was directed by Jack Cleverdon, CRNA. 1967 The first four students were admitted to University of Kansas Nurse Anesthesia Program under the Department of Anesthesiology. 1967 Kansas had four schools of nurse anesthesia. The University of Kansas Medical Center in Kansas City and three schools in Wichita: Wesley Medical Center, Wichita Clinic School and Wichita Physician’s School. 1972 St. Francis Hospital of Wichita started a school of nurse anesthesia, for the second time, giving the city a total of four schools. 1974 Mildred C. Rumpf, CRNA became the first Kansas CRNA to be elected as President of the American Association of Nurse Anesthetists (AANA). 1975 Garden City’s St. Catherine Hospital started a school of nurse anesthesia, and was directed by Theodore J. Bittner, CRNA. 1976 The Health Care Stabilization Fund (HCSF) was created by the Kansas Legislature as part of the Health Care Provider Insurance Availability Act. This fund was created by the Kansas Legislature as part of the Health Car Provider Insurance Availability Act. The HCSF mandated primary professional liability insurance, provided excess professional liability coverage, and established an availability plan for providers. All health care providers (defined as physicians, CRNAs, hospitals, and professional corporations or partnerships) working in Kansas, must participate in the HCSF. CRNAs in Kansas must now present proof of accumulated continued education credits to be licensed in Kansas. 1978 University of Kansas Nurse Anesthesia Program gained Baccalaureate statues after serving as a certificate program. University of Kansas Nurse Anesthesia Program joined the School of Allied Health. 1980 The University of Kansas Nurse Anesthesia Program, Wichita Clinic and the Wichita Physician’s School now only offered education in a baccalaureate framework. St. Francis Hospital of Wichita had an optional baccalaureate degree. St. Catherine Hospital Nurse Anesthesia Program in Garden City closed in October. 1981 St. Francis Regional Medical Center School of Anesthesia for Nurses changed their educational framework to a mandatory baccalaureate degree, in step with the other schools in the state. 1982 Wichita Physician’s School of Nurse Anesthesia closed in September. 1983 Wesley Medical Center School of Anesthesia for nurses closed its doors in August. 1984 University of Kansas offered a graduate degree of nurse anesthesia. 1985 St. Francis Regional Medical Center School of Anesthesia for nurses and the Wichita Clinic School of Nurse Anesthesia voluntarily closed in August. These closures left the University of Kansas as the sole nurse anesthesia program in the state. 1985 Board of Regents of State of Kansas announces implementation of Master of Science for the Kansas University class admitted in June. 1985-1998 The Kansas University Medical Center Nurse Anesthesia Education Program remained the only program in the state. 1986 State statute addresses the practice of nurse anesthesia for the first time in Senate bill 179. Effective January 1, 1987, all CRNAs in Kansas must be authorized by the Kansas State Board of Nursing as a Registered Nursed Anesthetist in order to administer anesthesia. Wilma Naethe was the first CRNA to accept an appointment to the Heath Care Stabilization Fund Board of Governors. Passage of Medicare direct reimbursement legislation for CRNAs was signed into law by President Ronald Regan. The Omnibus Budget Reconciliation Act of 1986 was successfully lobbied by AANA so that CRNAs could be directly reimbursed for their anesthesia services. 1987 Kanesthesia, the official publication of KANA, finally has a professional printed format. The Kansas legislature clarified the issue of whether a surgeon could be held vicariously liable for the actions/omissions of the anesthesia provider. Kansas CRNA, Chuck Biddle, from the University of Kansas Medical Center, was the recipient of the 1987 Research in action award for his paper entitled "The Role of Body Position and Breathing Incentive in the Prevention of Immediate Postoperative Hypoxemia". 1988 The State Board of Nursing given authority to authorize CRNAs for practice in Kansas and rule and regulation changed to allow for standard for CRNAs. 1989 KANA members, Katharine Clark (lower left) and James Carter (upper right) are inducted as Charter Members of the AANA Foundation "Friends for Life." 1990 KANA celebrates it's 50th Anniversary. 1990 KANA sponsored a campaign against drug abuse. Fliers were mailed to all middle schools in throughout the state of Kansas. 1990 St. Francis Regional Medical Center, Wichita became 1st distant clinical site for Texas Wesleyan University Program of Nurse Anesthesia. 1992 The Department of Health and Human Services is now allowing reimbursement up to 24 months for new graduates awaiting certification. 1993 Kansas Department of Health and Environment (KDHE), removes the physician supervision requirement of CRNAs under hospital regulations. 1994 KANA creates the Provider Resource Network (PRN). 1996 Kansas Nurse Anesthetist Statute (K.S.A. 65-1158) is revised and new authorization language is added in a bipartisan effort by KANA and the Kansas State Society of Anesthesiologists. George DeVane, CRNA, MHS receives the AANA Didactic Instructor of the Year. George DeVane, an instructor at the University of Kansas Graduate Nurse Anesthesia Program, passes away. In memory of George's commitment to education and excellence in nurse anesthesia, the KANA endowed scholarship, administered by the Kansas Nurses Foundation, is renamed the George DeVane Endowed Student Scholarship for Nurse Anesthesia Students. 1997 Scott Foster CRNA, PhD, formerly of Kansas begins his year as AANA president. Lori Harris, CRNA, MHS is awarded by the AANA Public Relations Committee for "Special Recognition for Individual Effort"
1999 Newman University Nurse Anesthesia Program (Masters of Science in Nurse Anesthesia) was founded in Wichita and directed by Anthony Chipas, CRNA, PhD. 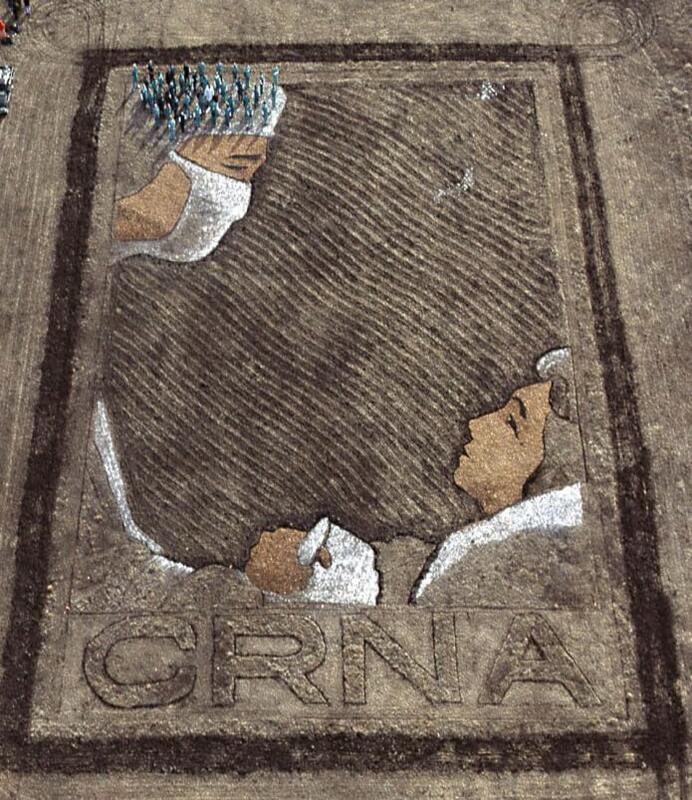 2001 In a field near Topeka, during Nurse Anesthetists Week, January 20, a nationally known Environmental Artist, Stan Herd, created a crop art depicting a CRNA about to undertake the anesthetic care of a small child. A group of CRNAs are standing in the CRNA’s hat. Promotional posters of the art were called “Outstanding in Our Field." KDHE removed the physician supervision requirement of CRNAs under the newly revised and release ambulatory surgery center (ASC) regulations. The Provider Resource Network is moved to inactive status per a vote by KANA. 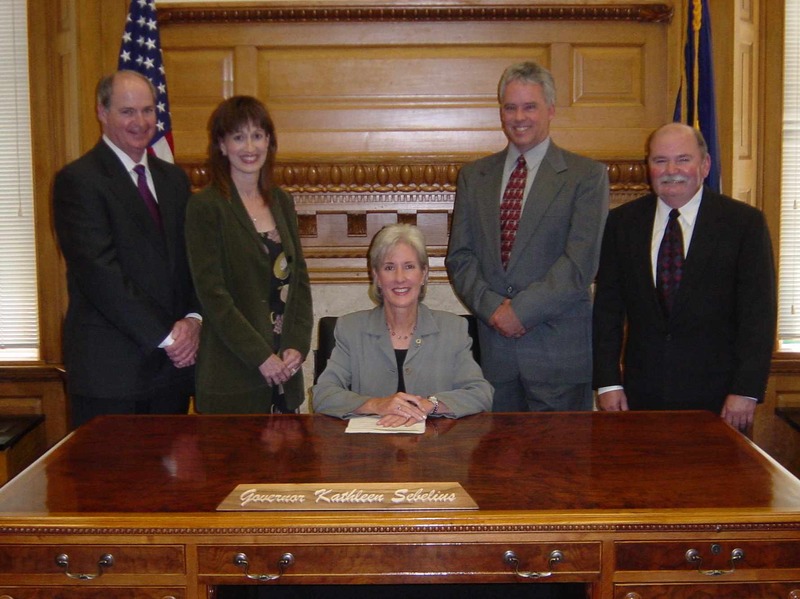 2003 Governor Sebelius informed Medicare that Kansas would opt out from the physician supervision requirement of CRNAs. Kansas became the seventh state to “opt out” of the federal supervision rule and defer to Kansas state law on the oversight of CRNAs. Tom McKibban, CRNA in El Dorado, becomes president of AANA. KANA recognized Lt. Colonel Don DeGrazio CRNA with a Distinguished Military Service Award on July 19. 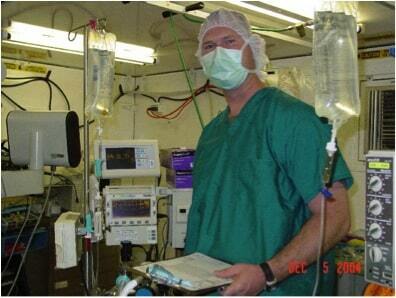 2004 Newman University Nurse Anesthesia Program now directed by Sharon Niemann, CRNA, MHS. 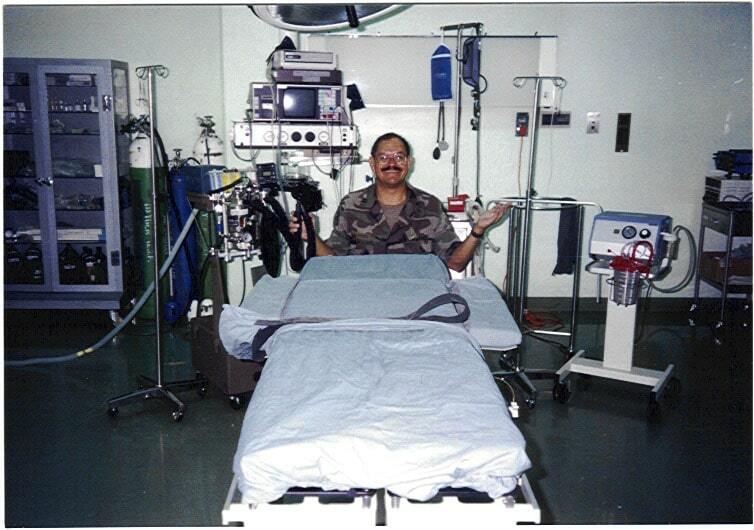 2006 KANA recognized Captain Kenneth Bates, CRNA with a Distinguished Military Service Award. 2007 Carol Elliott CRNA, PhD. 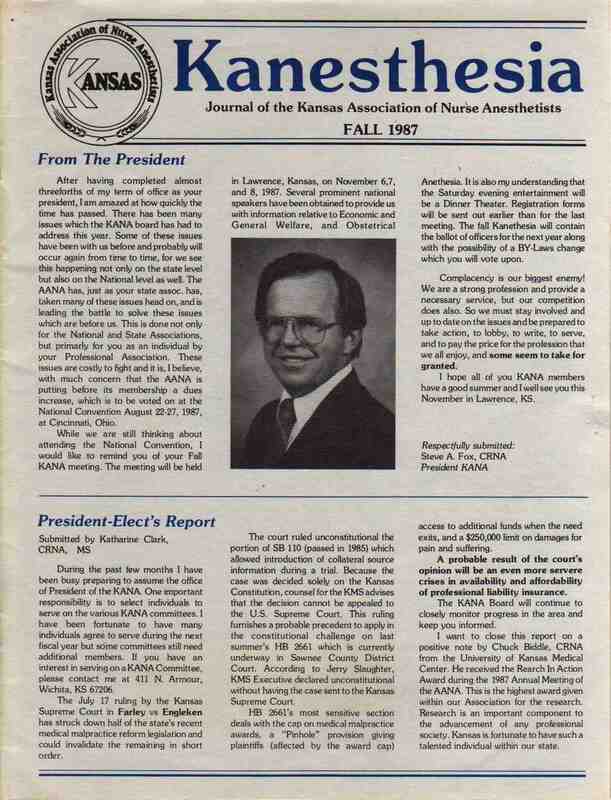 steps down as Chair of KU Department of Nurse Anesthesia after serving in the role of clinical and academic educator as well as Program Director from 1973-2007. A practice opinion by an attorney for KSBN notified the Kansas Department of Health and Environment (KDHE) that CRNAs could not write orders for pre-op or post-op patient needs and that nurses could not follow any orders written by a CRNA. After testimony to the Kansas State Board of Nursing (KSBN) ARNP Committee and KSBN, and a special KSBN board meeting, KANA made a decision to put the practice opinion on hold until a Registered Nurse Anesthetist (RNA) Task Force could identify the professional practice of anesthesia by CRNAs in Kansas and make recommendations to the board. KANA receives AANA Public Relations Award for Best Promotional Effort during National Nurse Anesthetists Week. 2008 A meeting with interested stakeholders: KANA, Kansas Hospital Association, Kansas State Nursing Association, Kansas Medical Society, Kansas Association of Anesthesiologists and KSBN was held in Topeka to discuss the issue of writing orders. A temporary solution was recommended allowing medical staffs to authorize CRNAs to select and initiate orders for pre-op, inter-op and post-op medications and tests as part of the anesthesia plan of care. Donna Nyght, CRNA, DNP becomes Chair of KU Department of Nurse Anesthesia. 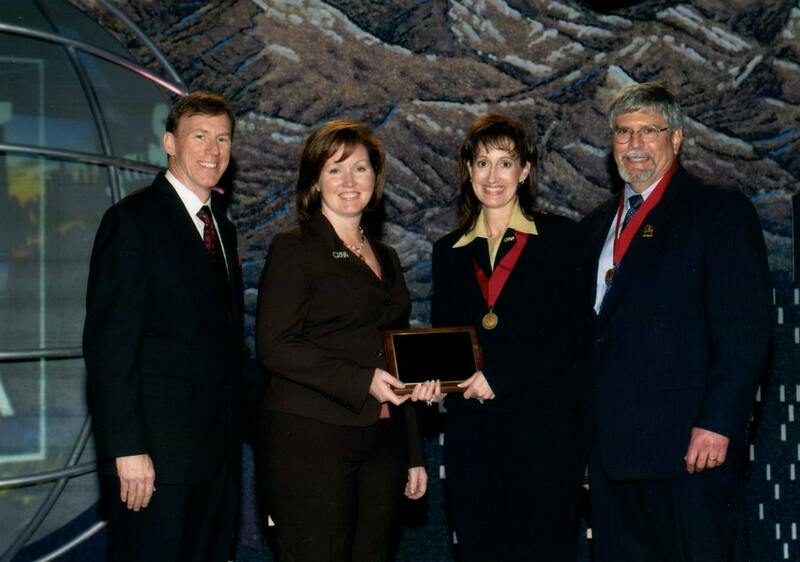 2009 KANA again receives AANA Public Relations Award for Best Promotional Effort during Nurse Anesthetists Week. 2010 H.B. 2619 was introduced by Rep. Brenda Landwehr, as chair of the House Health and Human Services Committee, on Feb 2. Governor Mark Parkinson signed H.B. 2619 on March 24, 2010 This bill clarified the authority of CRNAs to order medications and tests necessary for the anesthesia plan of care. Effective January 1, 2012, Advance Practice statues change title from Advance Registered Nurse Practitioner (ARNP) to Advance Practice Registered Nurse (APRN) for all Kansas Registered Nurse Anesthetists. By changing the title, it will establish uniformity with other states in the nation and will be less confusing to APRNs who come to Kansas for licensure. 2012 University of Kansas Nurse Anesthesia Program admits first class for Doctorate of Nursing Practice degree. Masters degree is phased out. 2015 KANA celebrates it's 75th Anniversary.